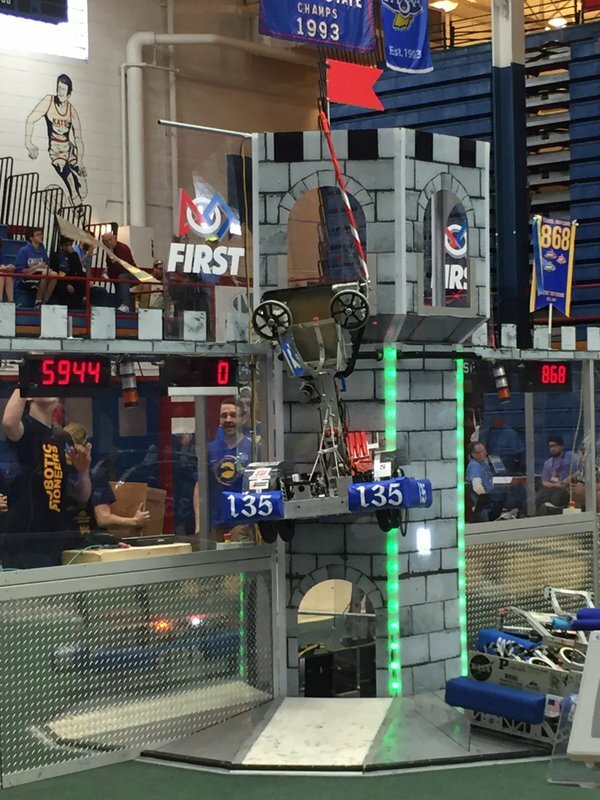 Home » Penn Robotics Team 135 advances to FIRST World Championship event! 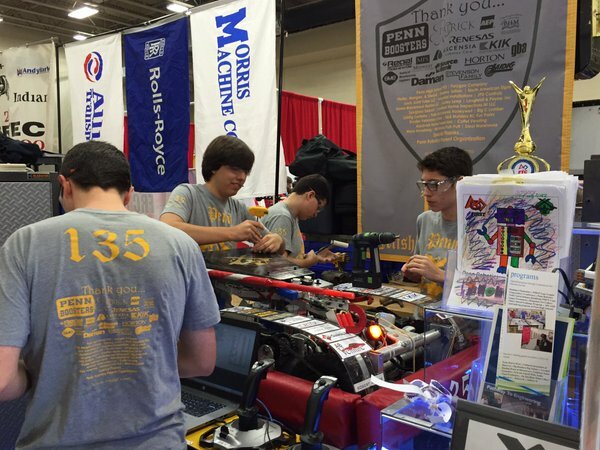 Penn Robotics Team 135 advances to FIRST World Championship event! 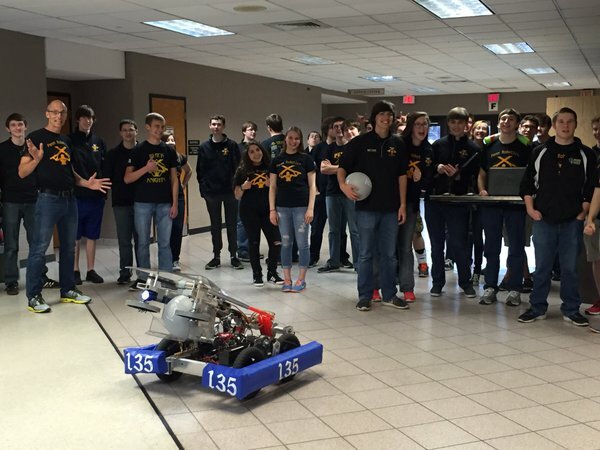 The Black Knights placed 10th overall and received the “Regional Engineering Inspiration Award” at the Indiana State Championships, held in Kokomo on April 14-16, 2016. Placing in the top ten secures their place at the FIRST World Championship competition (April 27-30, St. Louis), and winning the Regional Engineering Inspiration Award resulted in a $5,000 grant from NASA to cover that competition’s entry fee! The nearly 40-member student team has won awards at the two other competitions they’ve participated in this season. They won the “Judges’ Award” at the Tippecanoe District Tournament (West Lafayette, Ind.) March 11-13. They also received the “District Engineering Inspiration Award” at the Perry Meridian District Tournament (Indianapolis) March 24-26. Members of the 2015-2016 team include: Conrad Adams, Edward Atkinson, Sam Battalio, Jacob Bobson, Soren Campbell, Kayla Cole, Chris Dell, Adam Dewey, Alec Evans, Austin Finnessy, Aaron Fish, Kenny Ham, Cole Harding, Lizzie Heisler, Cason Jones, Chase Kidder, Bayley Lackie, Jimmy Leibengood, Alexis Marks, Jenni Muñoz, Aileen Norton, Tyler Nowak, Aidan Palonis, Nathan Petrie, Connor Russell, Frank Salek, Caitlin Stabelfeldt, Tyler Styles, Conner Swift, Andrew Umbaugh, Zach Varmette, Blake Witchie, Evan Witous, David Wojciechowski, Brandon Wood, and Brandon Ziegert. The team is very appreciative of their Penn Faculty Coordinators Jim Langfeldt and Josiah Parker, as well as many adult mentors who graciously volunteer their time and talent: Holly Austin, Joe Bishop, Allie Bishop, Grant Carlile, Andy Edelbrock, Tom Evans, Liz Kindelan, Tom Leathers, Jacob Pelletier, Troy Stablefeldt, Bob Stevenson, Robin Varmette, Andrew Whiteman, Bill Whiteman and Don Zmudzinski. 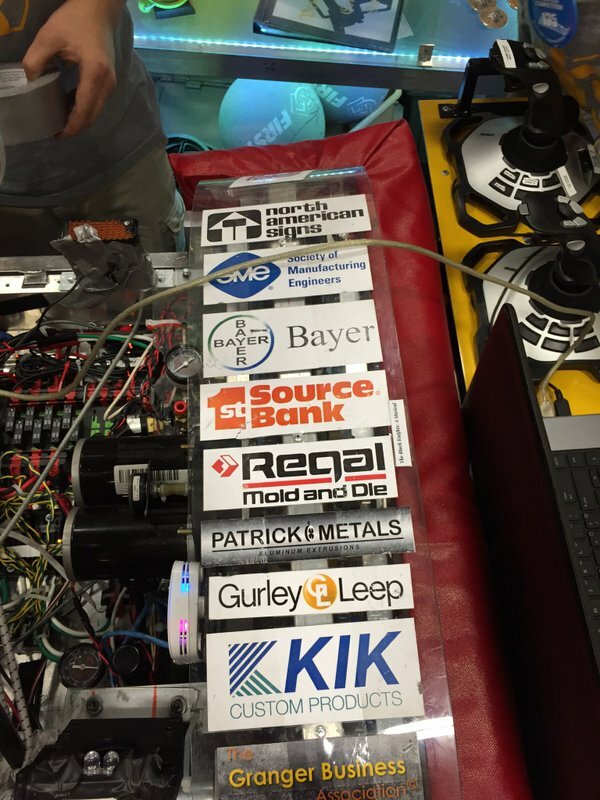 Through participation in FIRST Robotics Competition, the Penn robotics students experience the excitement of science, engineering, technology and innovation. They build life capabilities such as self-confidence, communication and leadership, while also qualifying for over $25 million in college scholarships! And Team 135 gives back to the community through various problem-based learning projects. In May 2015, several team members collaborated with other Penn students to build a prosthetic arm using a 3-D printer for Madison Elementary School third grader Grace Hildreth. “The Hand of Grace” project received widespread recognition and media coverage locally, across the state, and even nationally. Also a part of Team 135’s regular activities are visits to P-H-M’s elementary and middle schools to inspire younger students and invoke interest in STEM classes and activities and eventual careers. Team 135 is thankful for its community sponsors who have provided ongoing support, along with grants from the Penn-Harris-Madison Education Foundation. It takes a total of $70,000 to fund the championship team’s endeavors for the competition season, and the students have been busy raising money since last August. 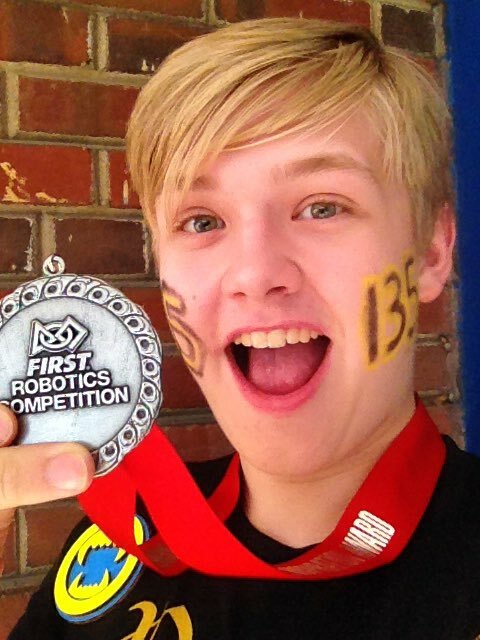 Funding is still needed to cover the costs not only for the expensive supplies it takes to build the robots (such as aluminum, batteries, and control system components), as well as travel expenses for the entire team.